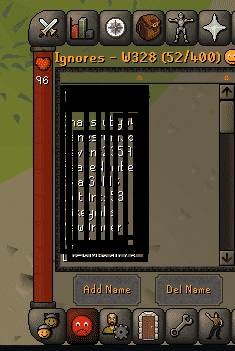 Starting out as a new player in OSRS is hard & complex. We are demystifying the base mechanics & features, to help you have a fun and quick start in the game! 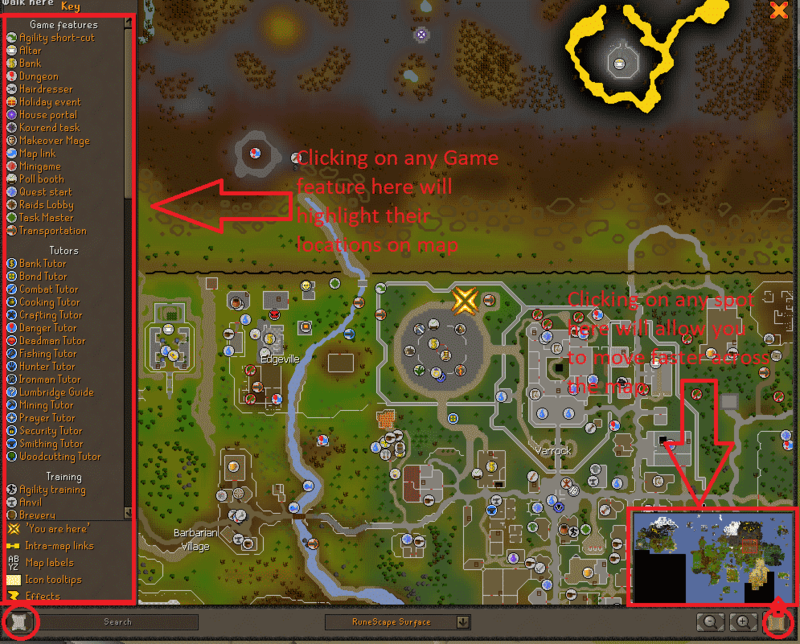 Playing OSRS can get complicated, especially for new and inexperienced players. Things such as UI, combat system and skills are so confusing and kinda old, that might get someone to quit pretty quick. 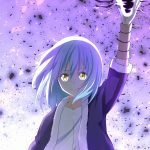 So in this guide, I’m willing to make things simple and not very detailed for beginners to avoid confusion and enjoy the deep gameplay. 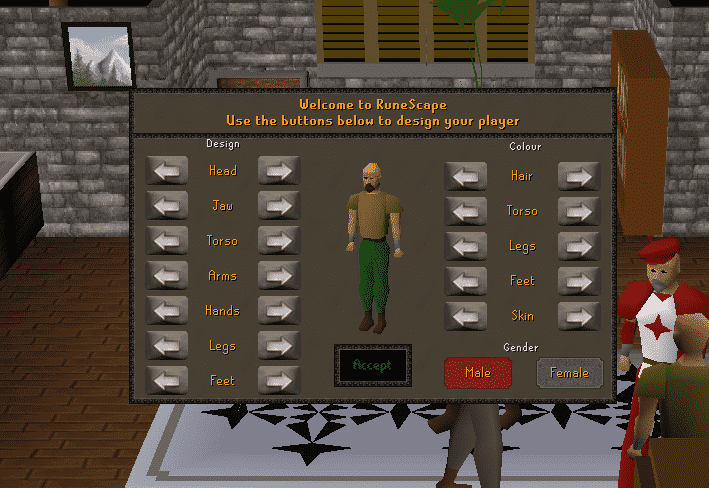 When you log in to the game for the first time ever, you start on Tutorial Island. 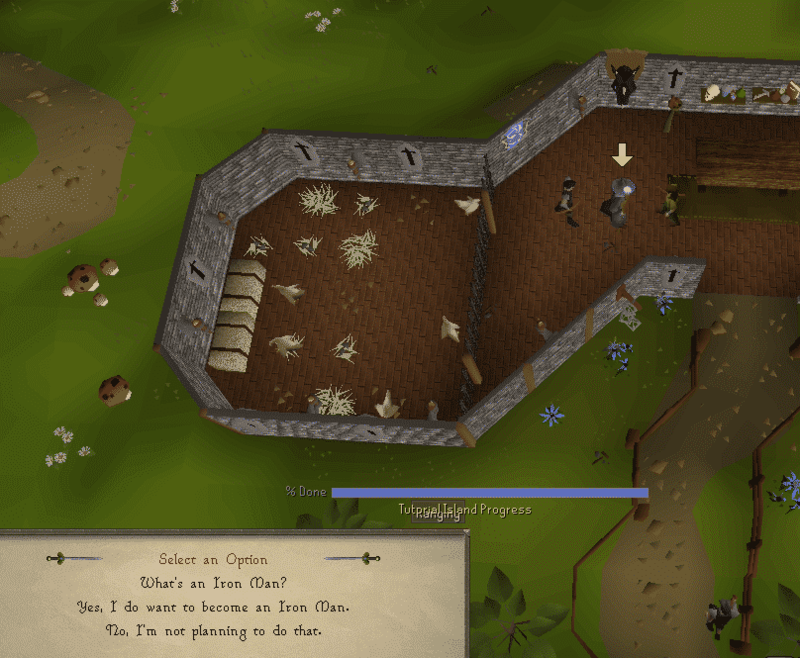 On this island, you will learn the basics of the game such as how to bank or how to train skills. The first thing you will ever do is choosing a name for your character, and then you will move to character customization. 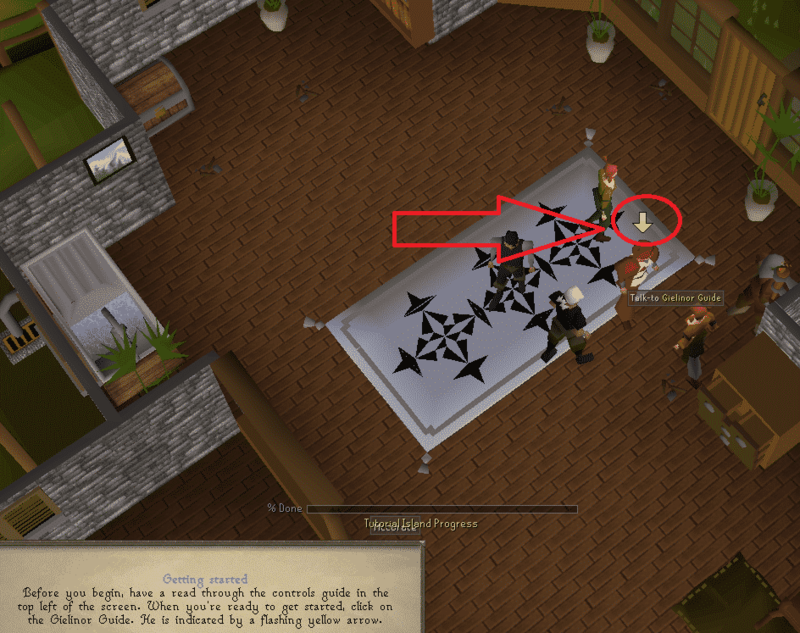 Then you should follow the yellow arrow flashing above certain NPCs. They will teach you the general mechanics and basic knowledge of the game. On the final task of the tutorial, you are asked if you want to be an Ironman or not. As a beginner, it wouldn’t be a wise choice to become an Ironman. Being an Ironman has a great negative, and it’s that you can’t trade anything with other players. 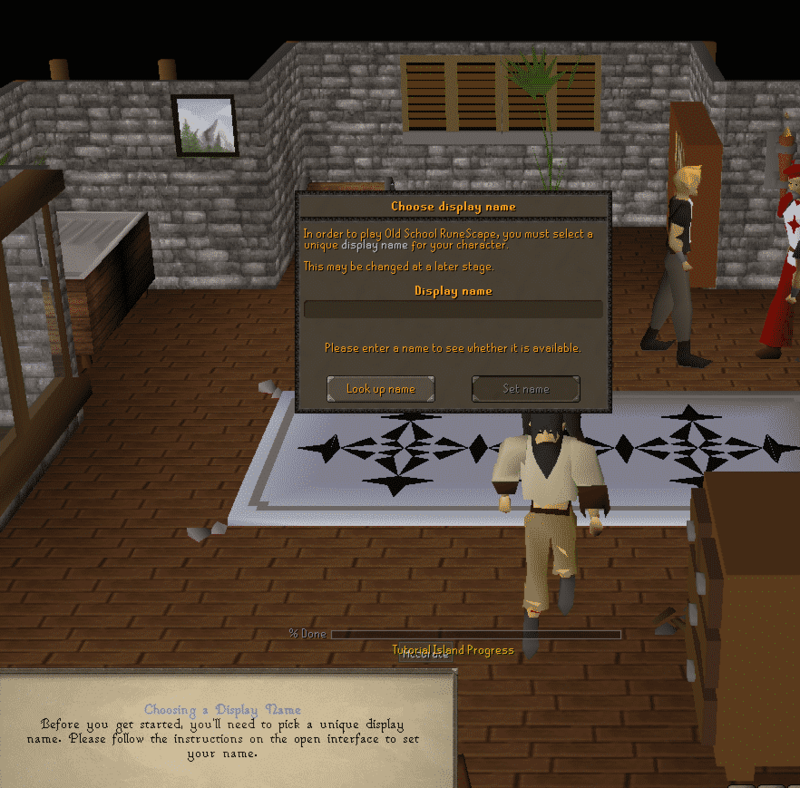 Once you are done with the Tutorial, you will be teleported to Lumbridge where you will start playing the game. The UI is probably the most complicated thing in the game, due to the age of the game. But I will breakdown the UI to make it “easy-to-get” for beginners. Note that this guide is focused only on the PC version of the game. Chat is used to communicate with other players in many different ways. Also, you can monitor the processes you do via the “Game” tab, and communicate with NPCs in general. In this tab, you can choose your attack style, each of them will allow you to gain EXP in certain combat skills. There’s also Auto Retaliate option, which allows you to fight back automatically while being attacked by others. In this tab, you can view your various skills and the current level of each. Every skill has its importance and the priority to train as a beginner. To know everything about each of them, you can check the Beginner’s Skills guide. Activities tab is used to view and manage four different activities in the game, each will be explained below. The first one is the Quest list, which shows you the quests available. There are 21 free quests and 121 members quests. 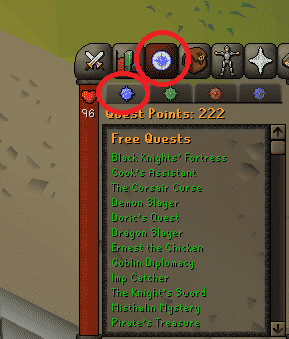 Completing each quest gives you Quest points that you will need to complete some specific quests. Clicking on any quest will show you the requirements to start it. 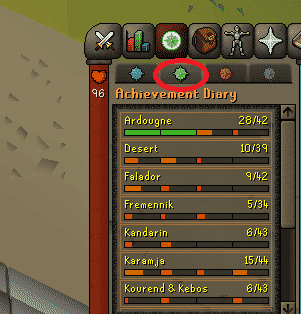 Following the Achievement Diary, in this tab, you can view different diaries that you can gather to completion, to get some rewards and untradable items. 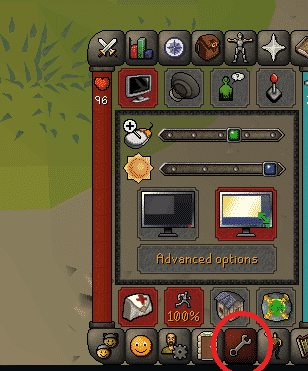 Clicking on each diary will show you the different tasks you should do to complete each stage of the diary. 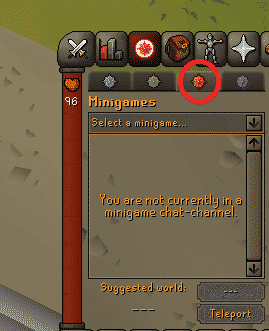 Then you will find the Minigames, in this tab, you can teleport to any minigame you choose. 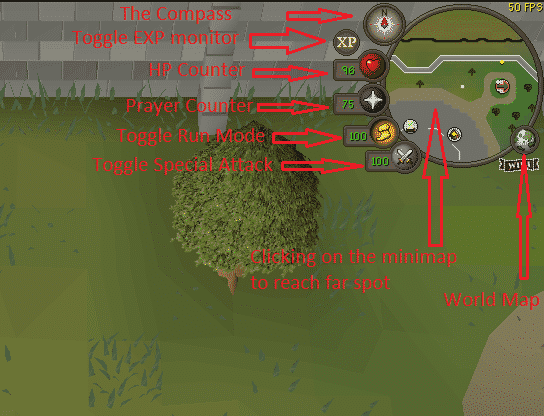 Keep in mind that sometimes you will need to walk to the minigame first, so you can unlock the ability to teleport. You can also join a clan chat of the minigame you chose to communicate with a team. In this game, there are 5 houses, these houses are regions, every region has some features, to be unlocked you have to gain favor in each house. 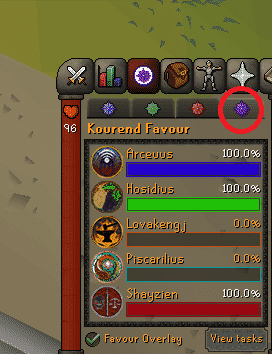 This is the Kourend Favor, this tab shows you the favor you have for each house of the 5 houses. To gain favor in each, you should complete the tasks for each house which will allow you to unlock certain activities and features in the game. You can click on “View tasks” To view the tasks and what you can unlock by gaining favor in each house. 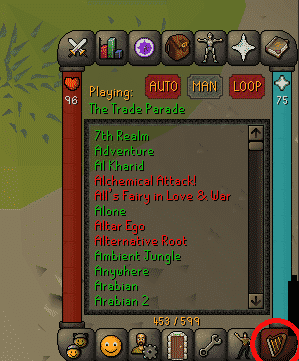 This tab allows you to view your inventory which consists of 28 slots and cannot be increased. That’s why you should always choose the most useful 28 items to bring in your inventory. In this tab, you can manage your gear and weapons. Also, there are 4 different icons used for different things. The first icon from the left is used to view your stats and the comparison between different gears. The second icon is used to check the value of any item in your inventory. The third icon is used to view the item that you won’t lose on death. The fourth icon is used to call any follower you have such as pets. Note: your gear has weight, which affects your Run Energy. If your weight is more than 64kg, then your Run Energy will be consumed at twice the rate that it does when you have 0kg or less. This tab is used to activate any prayer you want according to your Prayer level. Activating any prayer will consume your Prayer points. 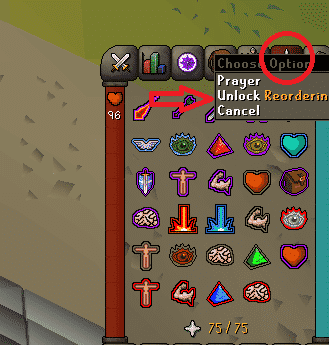 Right-clicking on the tab allows you to choose whether you want to reorder the prayer icons or not. More information on this skill can be found here. This tab is used to view and cast the various spells you have. Each spell can be unlocked by reaching a certain Magic level. 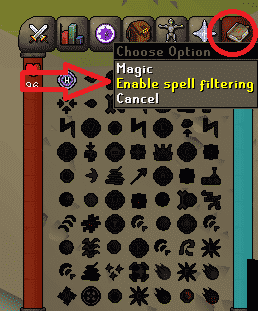 Right-clicking on the tab allows enabling a filter to only view the spells you want. There are four different spellbooks in the game, one of them is the free standard book. The other three are for members and require completing certain quests to be unlocked. In this tab, you can join or create a clan chat. 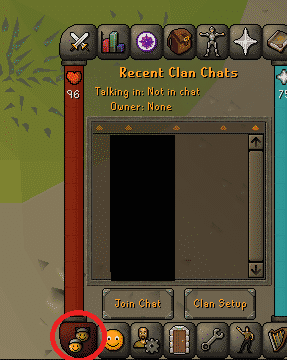 The clan chat is used for raids or training with friends. Generally, it depends on the activity of the clan. You can always leave the Clan whenever you want. Actually switching between Clans is what most of the players are doing since you don’t stick to only 1 activity. In raids (endgame dungeon), if you leave the Clan, you will be automatically kicked out of the dungeon. Here you can view your added friends and their exact location. Also by clicking on the red emoji icon, you open the ignore list, which is used to block players. Here you can manage your account by buying bonds, changing your name, etc. 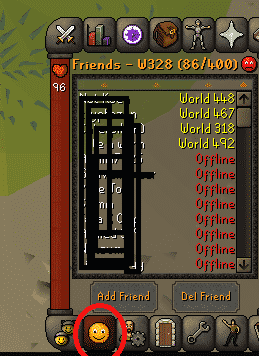 This tab is used for logging out or switching worlds. This tab is simply the game settings tab, you can adjust the brightness, change your keybindings etc. You can use various emotes by left-clicking on any of them. 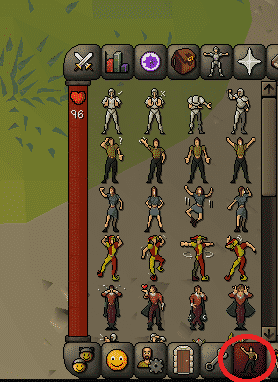 Emotes are unlocked by completing various activities around the game. Just like the Emotes Tab, it is used to play various pieces of music in the background. By completing different activities around the game, you can unlock more music pieces. In this corner, you can find very useful options. The Compass is used to know your directions. 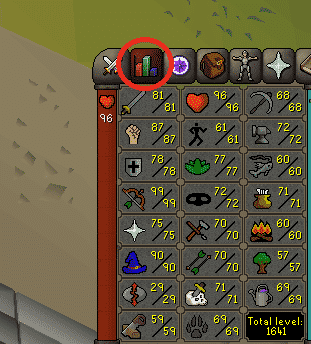 The XP icon is used to show or hide the amount of EXP you gain by training a specific skill. The HP icon is used to monitor your current HP. 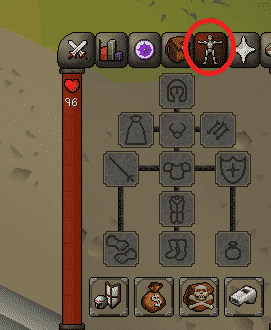 The Prayer icon is used to monitor your Prayer points and also to toggle the quick-prayers. The Foot icon is used to toggle the run mode and it consumes the run energy. 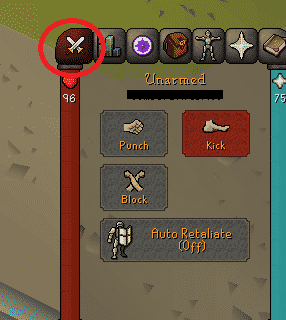 The Dual Swords icon is used to toggle the special attack of certain weapons available in member worlds only. Note that you can setup your XP monitor by right-clicking on it then choose setup. The Earth icon is used to open the World Map. It is actually the most useful thing for a beginner, especially while doing a quest. Use it to find the NPC’s locations across the map and the fastest way to travel, whether it’s to NPC or a City. 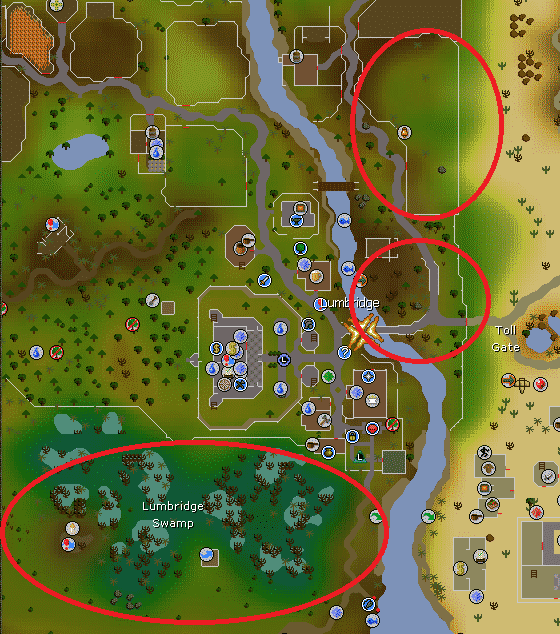 The far Northern part of the map is the Wilderness, which is a PVP area and if you get killed there you will lose your items. 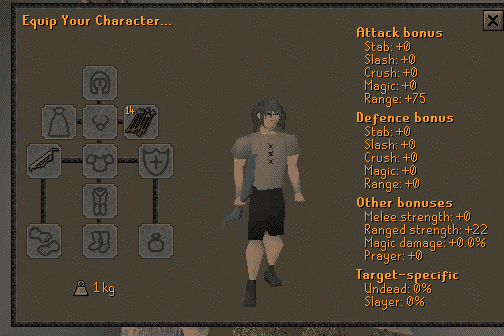 In OSRS, the combat mechanics are simple. Actually, you don’t use such flashy skills like the other MMO games apart from the Magic spells. The main source of dealing damage to your opponent is your basic attack. The amount of damage dealt gets affected by your stats which depends on your levels in combat skills such as Melee or Ranged. However, the damage you deal to your opponent is not guaranteed as it’s still possible to hit low damage, or even 0 damage, while being level 99 in all combat skills. Which means that it’s random, but your level and gear are increasing your chance to deal damage and also increases your max hit. In short, increasing your accuracy means increasing your hit chance, and increasing your strength means increasing your max hit. There are 7 different skills are used in combat, each of them is explained here. 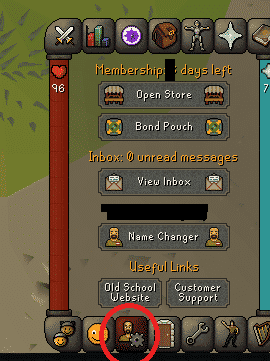 Before buying your first Bond, you should do the following steps in F2P worlds, so you don’t waste your membership days. Train your main combat skills until level 50~60. Achieve the required levels for all the free quests and complete all of them. By completing the free quests you will also gain EXP in various skills. Try to make money as much as possible, so you can buy a Bond from the Grand Exchange without paying real money for it. 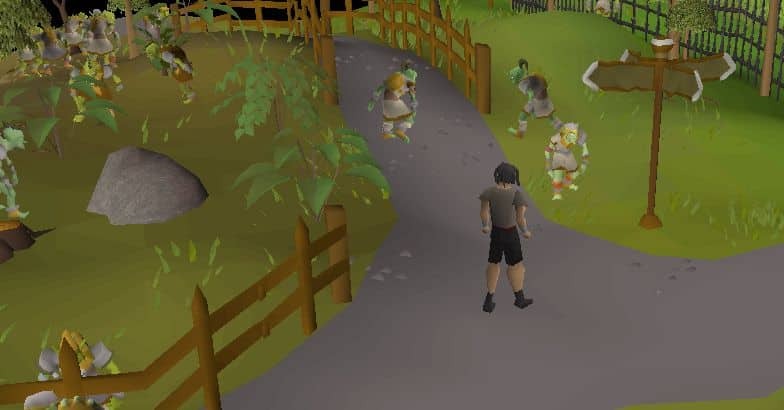 To start training the combat skills, you better head to Goblins or Cows which are located east of Lumbridge. 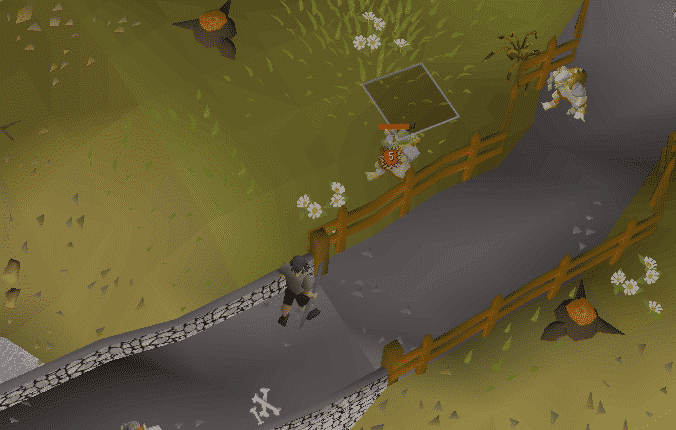 Then, at a higher level, you can start training on the Frogs located south of Lumbridge. Being killed in OSRS means that you will drop all your items on the ground except most valuable 3 items you have got. Your items will be on the ground for 1 hour waiting for you to pick them, nobody else will be able to see them. 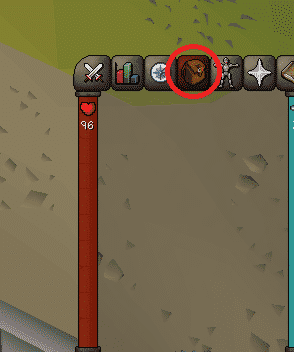 But if you die in the Wilderness, your items will be visible and available to anyone. 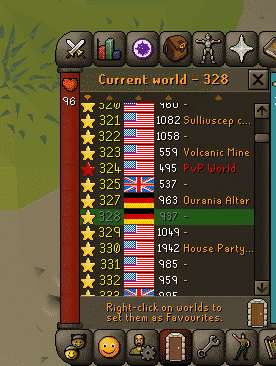 In OSRS there are Free worlds and P2P Worlds, P2P items won’t be usable in the Free Worlds. P2P gameplay unlocks around 90% of the game, so it’s always better to find your way to get your first Bond. To know the best possible ways to make money for your first Bond ever, please check out this guide. That’s all, hope you find this guide simple and useful. Feel free to ask any question and stay tuned for the next guide. Petroleum engineer that hates his career. Playing various genres of games for 5~8 hours/day. Ambitious, perfectionist and always looking for areas of improvement. Currently learning various stuff & playing OSRS.